For AIS membership information access the AIS website. Check your AIS membership status on-line at www.aislookup.org. Follow the AIS on Facebook and/or Twitter. 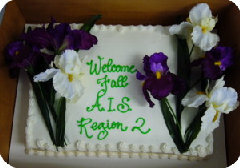 If you have any suggestions, comments or need information about AIS Region 2, you may contact the Webmaster.